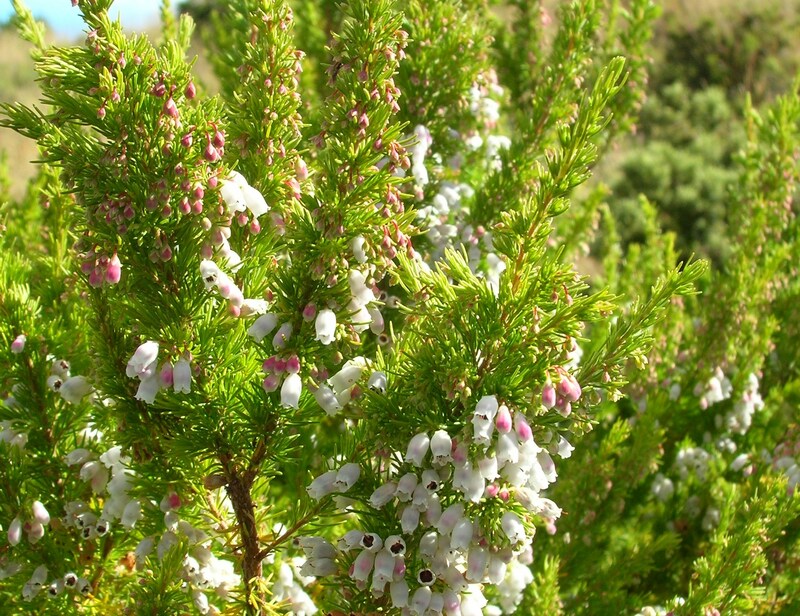 Erica lusitanica (Spanish heath) is a shrub or sub-shrub (family Ericaceae) that is native to southwest Europe. Erica lusitanica can be found in disturbed, open sandy areas. It has invaded Humboldt County where it forms large monocultures along the coast. E. lusitanica flowers from winter to spring. It has shown quick recovery from fire.